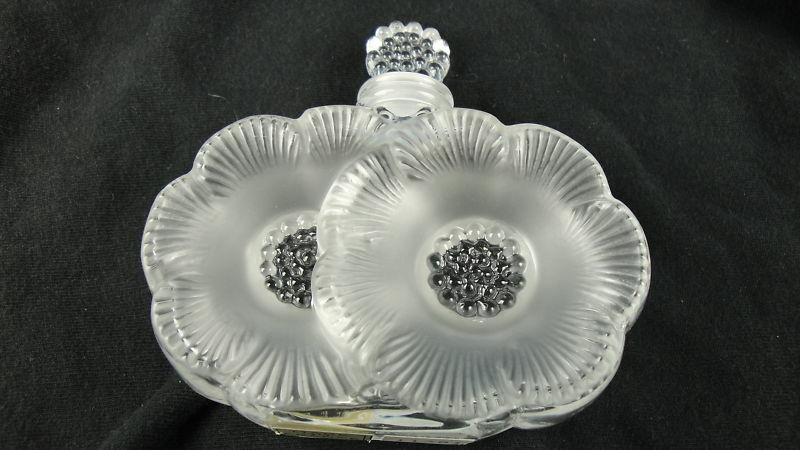 Description: This is a very pretty art glass perfume bottle made by Lalique France in their Deux Fleurs pattern. 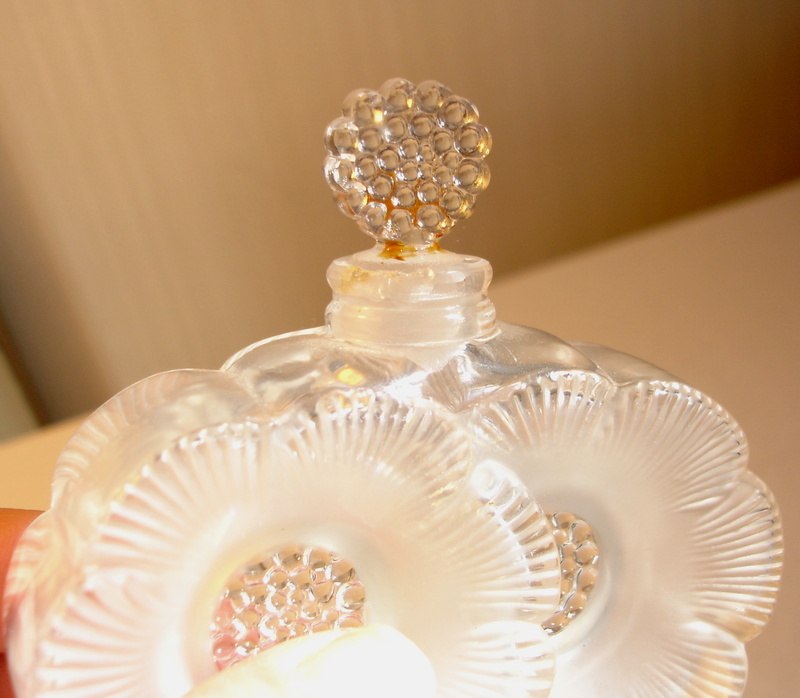 It is 3 3/4" high to the top of the stopper, 3 3/4" across and 1" deep. 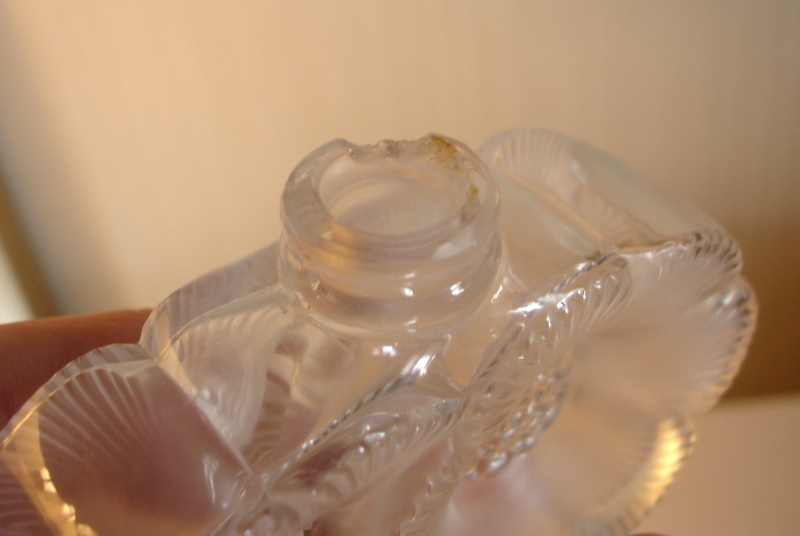 There is a chip in the neck in the back of the bottle, not serious enough to affect the seal of the stopper, but it is there. 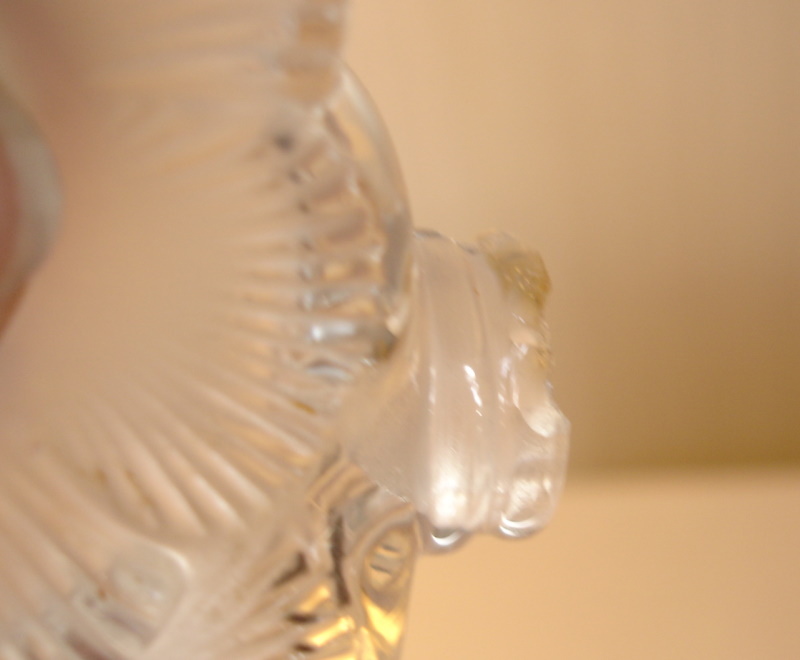 Alittle hard to show the damage because the bottle is crystal. 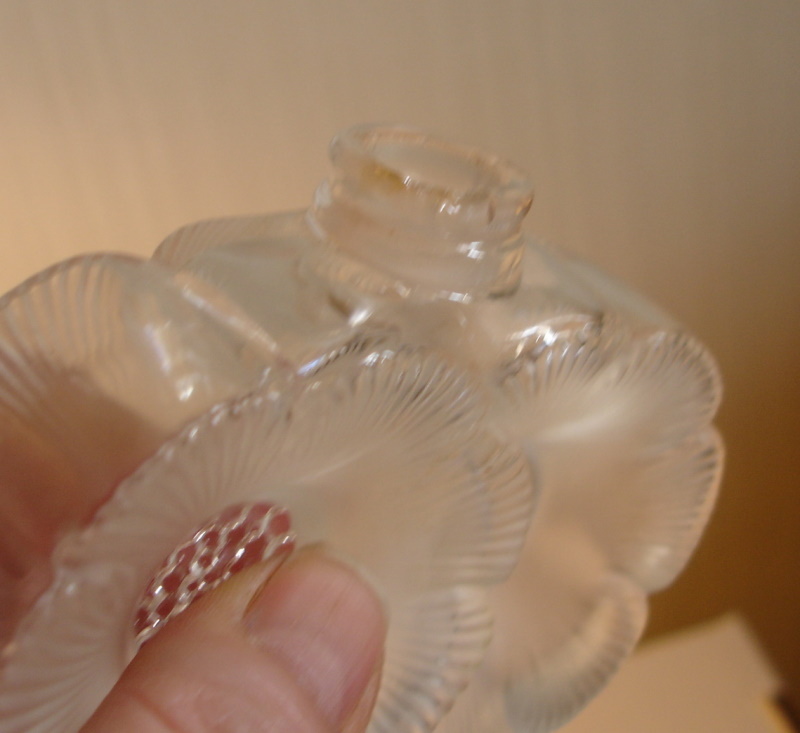 Stopper has some dried perfume on it, but I will clean this off before shipping. 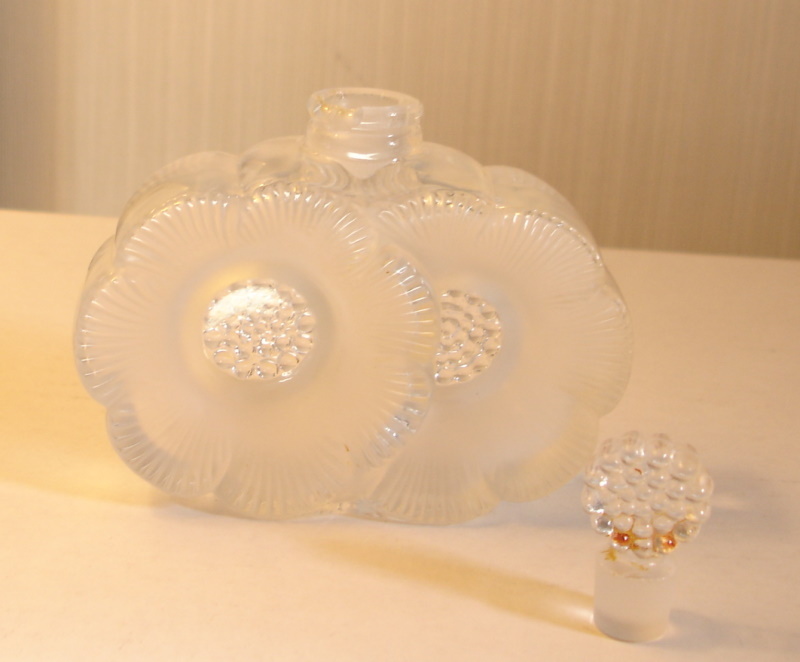 This bottle is $500 new.